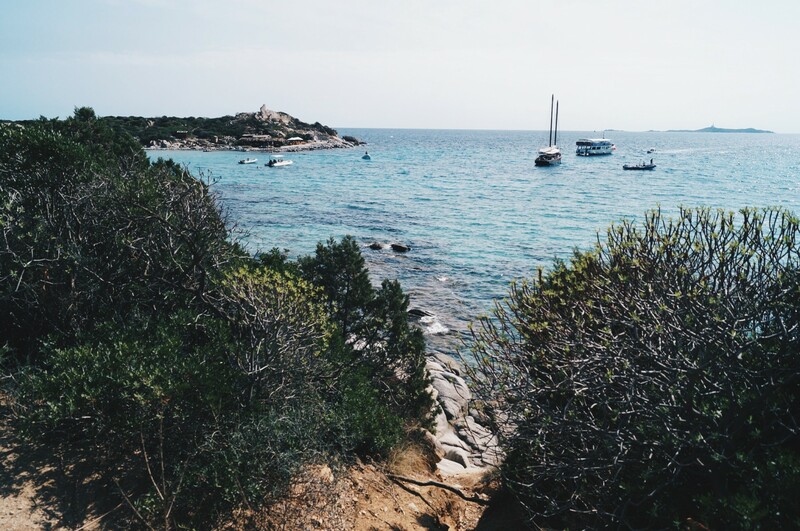 I know, autumn is just right around the corner, but hey – next summer is coming for sure and you can’t begin early enough for planning your next trip and maybe Sardinia is the next destination on your list! 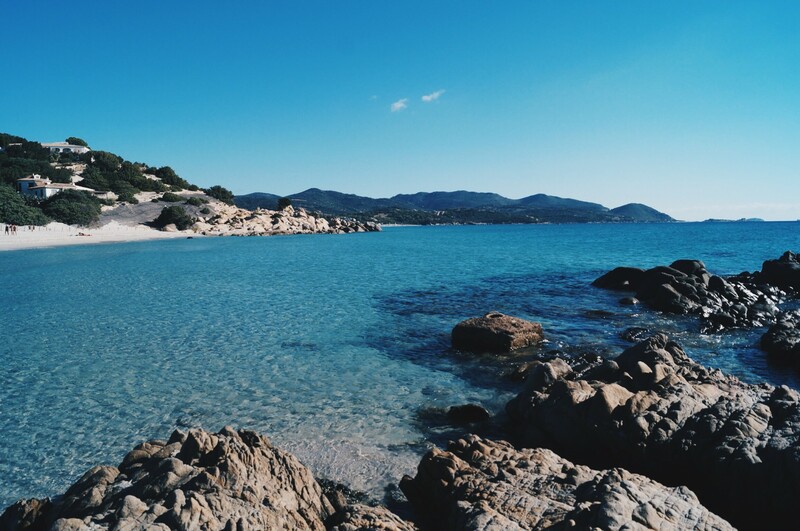 The region around Villasimius, a small charming village in which we stayed, is called “Capo Cabonara” and is located in the South Eastern of Sardinia. So many beautiful and different beaches can be reached from Villasimius in only a few minutes by car and the four most wonderful ones I will show you today. Villasimius is quite a big village, which is perfect for people who hate popular tourist destinations, but still want something to be offered. For more information about Villasimius just click here. Only a few kilometres away (a rental car is a must-have!) you can discover the beautiful landscape and beaches around “Capo Cabonara” – cliff lines, sandy beaches and salt lakes where you can observe flamingos. Here you can find more information and also a map. 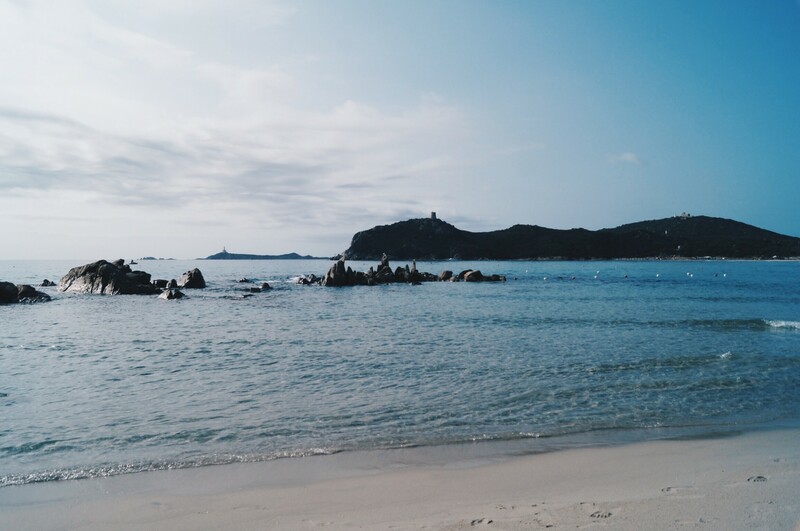 With the car, me and my boyfriend have seen almost all beaches of the region of Villasimius and of course I had my favourites. When you have the map of Sardinia in front of you, you can see Punta Molentis eastward of Villasimius. A wonderful beach, which also offers something to eat and to drink, but which only is the last of my list, because the beach is very small and that’s why there are too many people. I would recommend visiting this beach only in low season. Porto Giunco is a wide beach with light sand and shallow crystal clear water. Directly behind, there is the salt lake “Stagno di Notteri” where you can observe flamingos all over the year. In high season there are quite lots of sun loungers and parasols which belong to hotels – I would recommend searching a nice place at the end of the beach on the right side, where there are also rocks in the water and outside for separating Porto Giunco from the next little bay Timi Ama. Timi Ama borders on Porto Giunco. As mentioned above, little and bigger rocks are separating the two beaches from each other, you can climb there and have a wonderful view. Timi Ama is only a little bay, but this time without sun loungers. The beach is surrounded by green vegetation and beautiful houses on the hills. Perfect for relaxing and swimming! Costa Rei is one of the most famous coasts in the Eastern of Sardinia – not for any reason it’s called the king’s coast! 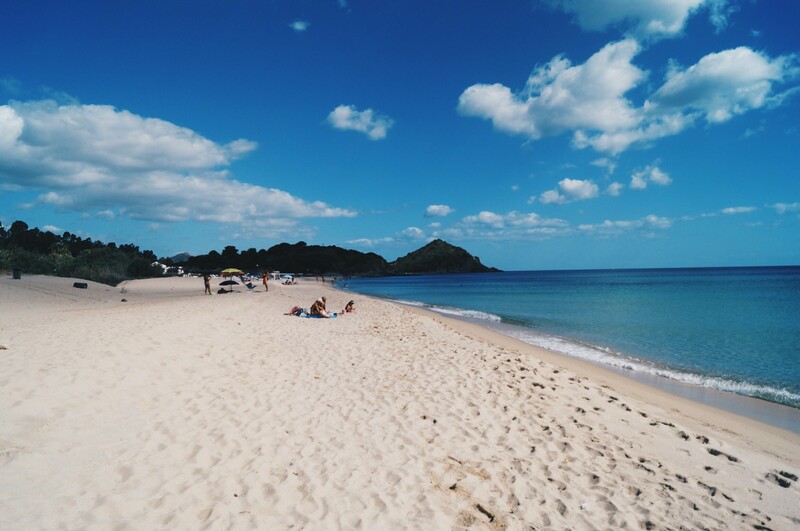 Again, only a few kilometers away from Villasimius there really is the most amazing sandy beach I’ve ever visited. Cala Sinzias is a wide, sandy beach, which has sun loungers and parasols, but also has so much other space, so the beach wasn’t crowded. The water of the sea was magical – crystal clear, deep blue, turquoise and only little waves – perfect for swimming! There is also a very nice bar with great atmosphere and of course something to eat and to drink… so what else could you wish for? Next Post Oh Hey, Autumn! What beautiful beach-shots, you’ve certainly managed to transport my mind to next summer – who cares if it’s Autumn right now! haha 🙂 Have a lovely weekend. Wow. Ich sitze hier, habe gefühlt drei Paar Kuschelsocken an und scrolle durch deine tollen Bilder. Da vermisse ich die Wärme jetzt schon. Posts online about Amalfi, Amsterdam, Rio…. Wunderschöne Bilder! Da packt mich direkt das Fernweh. Wow so tolle Bilder! Ich traue mich jetzt gar nicht mehr den Kopf weg vom Bildschirm zu bewegen, sonst sehe ich ja das Regenwetter draußen 😉 Mein Favorit zum direkt Hinbeamen wäre jetzt Platz Nr. 2. Aber gegen die anderen Strände hätte ich auch nichts. Die Bilder sehen alle so wahnsinnig schön aus, sie könnten wirklich aus einem Reisekatalog stammen. Vielen Dank für diesen hilfreichen Beitrag! 🙂 Am liebsten würde ich da sofort hin, das Wasser sieht so klar aus und der Sand so weich und sauber. Das wird auf jeden Fall auf meine Liste für nächsten/übernächsten Sommer geschrieben! Ich liebe das Reisen einfach so sehr. Das sieht so wunderschön aus! Da bekommt man sofort fernweh!